Wonderful Updated Luxury 2 bedroom 2 bath completely renovated Beachwalk condo first floor flat! Condo is nicely furnished and you can walk to the beach. Stainless steel appliances and granite counter tops. Master bedroom has king size bed, chair that folds out into a single bed and a private bath. Guest room has double bed and twin bed. Living room has fold out couch and condo sleeps seven people. Walk to the beach in Shipyard Plantation. Closest complex to the ocean and community pool. Near Sonesta hotel and Van Der Meer Tennis complex. Spectacular Oceanfront 2 BR 2 BA condo in Hampton Place. Wonderful ocean views from the entire condo. Totally unobstructed views of the Atlantic Ocean and the pool. 2 bedrooms, king bed in the master and two twins in the guest room. Health Club free on site. Enjoy the views and enjoy the ocean. Golf packages available for this condo, call for details and pricing. 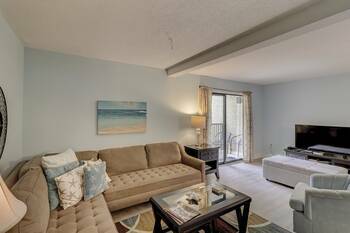 VIP totally renovated direct oceanfront Turtle Lane 3 BR Condo in Sea Pines. Sea Pines Golf Packages available. Walk right off the deck to the beach with great ocean views. Luxury remodel with decorator furnishings, quality appliances, flat screen TVs in all the rooms, King Bed in Master suite with ocean views, King Bed in guest room and two bunk beds (four twin beds) in 2nd guest room. 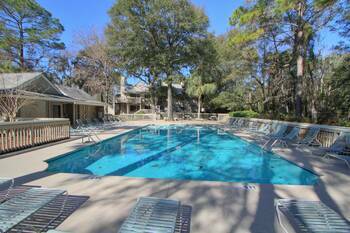 Perfect location and spectacular quality condo near amenities in Sea Pines. Pet Friendly Two Bedroom Two Bath Beachwalk Condo in Shipyard. 2 King Beds! Gorgeous updated bathrooms with new vanities, new tile and granite counter tops. Wonderful Pool Views, large deck, new patio furniture, first floor condo and walk to the beach. Close to beach and right beside pool. Nice Furniture and great vacation spot. Maximum two dogs, under 40 pounds each, no cats. Location is perfect, walk to beach and over look the pool. Fully stocked kitchen and nice flat screen tvs. Book this one, it will rent fast. 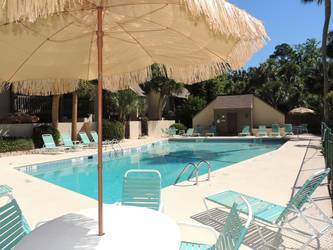 Large 3 BR Updated New Tile, Kitchen, Appliances, Carpet, Furniture, Oceanfront Complex Hilton Head Resort Indoor Pool, Two Outdoor Pools, Fitness Center Oceanfront Bar and Restaurant, Pool side Bar and Restaurant. 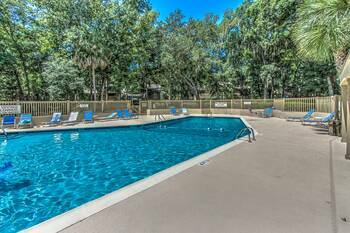 Wonderful Hilton Head Resort community with wonderful amenities near shops and restaurants only minutes away. Golf courses and bike paths are near the resort. 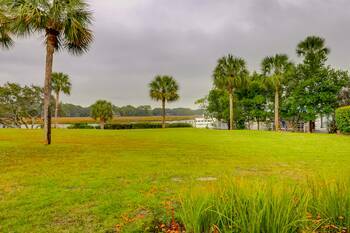 497 Captains Cove 4 BR 3 BA with water front views of 11 Mile Lagoon and only minutes to world famous Hilton Head Beaches. High ceilings and dramatic views and the features of the 4 BR Condo that sleeps 13 people comfortably. Free internet. 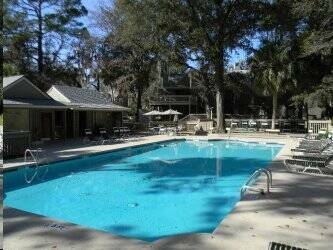 Great location near restaurants, golf courses and bike paths, everything you need to enjoy Hilton Head Island. 3 Bedroom 3 bath OceanBreeze Condo. 5 Minute walk to the beach. Master Bedroom has a king bed, guest bedroom has a queen bed, and the 3rd bedroom has bunk beds with 2 double beds and 2 twins. Completely remodeled with updated TV's kitchen and bathrooms! Perfect location in South Forest Beach! Bike paths in front of the condo will lead you all the way to Coligny Plaza! 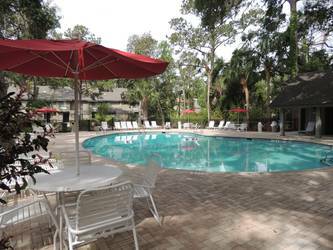 Enjoy the outdoor pool and tennis courts or walk to the beach in 5 minutes! Luxury Updated 3 BR Stoney Creek Condo with great pool views. Only minutes to world famous Harbourtown Golf Links, Lighthouse, Shops and Restaurants this updated luxury condo can sleep 8 people. What a wonderful location to come and enjoy world class amenities for a family beach or golf vacation. Sea Pines has miles of bike paths, beach access and a trolley to run you around the Sea Pines Resort. Come vacation, you will love it and return year after year. 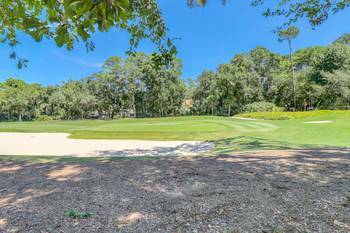 Wonderful Two Bedroom townhome on the golf course in Shipyard with great golf views. Nice large kitchen with huge living room. Two story townhome with very large bedrooms. Master Suite has vaulted ceiling with king bed and en suite master bath with golf views from master bedroom. Guest room has two twin beds and the couch folds outs to sleep a total of six guests. 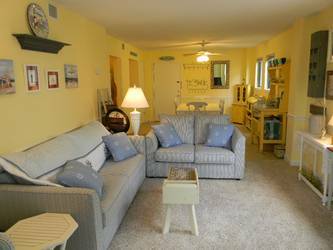 Wonderful Shipmaster condo with lots of room for all the family and friends. Updated luxury 3 BR condo in Palmetto Dunes right beside the pool end unit with updated kitchen, bathrooms, new furniture, new TVs and more. Luxury end unit 3 BR condo where you can walk out to the pool, bike to the beach, play golf or just relax on the back patio and grill out. What a wonderful location for a family vacation and plenty of room for everyone. Master Bedroom downstairs and two huge guest rooms upstairs. Four Full baths, one off living room and all other bedrooms have en suite full bathroom. Huge bedrooms and large living room with nice patio. Great vacation location in Hilton Head. VIP 3 BR 3 BA Sea Crest Oceanfront Condo! Sleeps 12! New tile! New Furniture New TVS Open Kitchen Two Decks with Ocean Views, New Stainless Steel Appliances, Granite Counters, Travertine Stone and new Tile Floors, Updated VIP Condo! Sleeps 12 People! Luxury VIP Evian in Shipyard Plantation with a gorgeous lagoon and golf view. Double Master Suites and Gourmet kitchen. Words do not describe how spectacular the remodel is on this Evian condo. Total remodel with two master suites, luxury en suite bathrooms and a gourmet kitchen. Open kitchen with granite counters are the focal point in the living room. You see the golf view almost everywhere. This VIP Luxury condo is the perfect place for a wonderful vacation. The Best Evian in Shipyard Plantation and one of the best condos on the entire Island!. 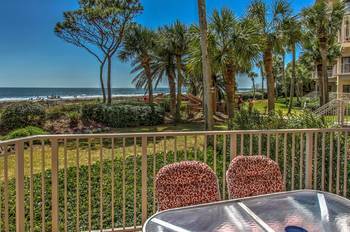 Updated Luxury Hampton Place 3 BR 3 BA Oceanfront Luxury Condo in Palmetto Dunes updated and remodeled with new stainless steel kitchen appliances, new tile floors, new living room furniture and LCD TVs. Kitchen, living room, dining area, breakfast area, master suite and guest room overlooks the ocean and pool with spectacular unobstructed views. Hampton Place has a fitness center, covered parking and community pool with a great location near the golf courses, tennis facilities and bike paths. 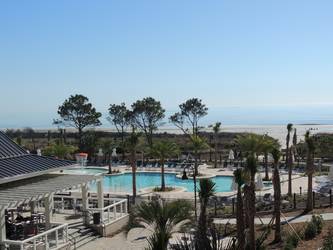 One of the nicest complexes on the entire island, Hampton Place has it all, oceanfront and luxury condos. 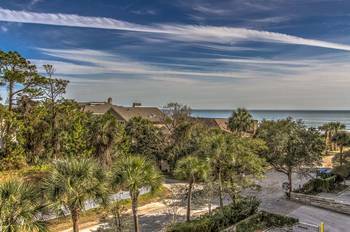 Oceanfront - Sea Pines Plantation Breathtaking ocean views from this luxury 4th floor updated condo. This is the View!! Pelicans fly by right in front of you! New Hardwood Floors! New Living Room Furniture! New 60 in LED TV in living room, 46 LED TV in master BR w/King Bed, stainless steel appliances, new bedspreads, Ralph Lauren dining table, nice furniture. Beautiful Views of the Atlantic Ocean with prime location in Sea Pines. 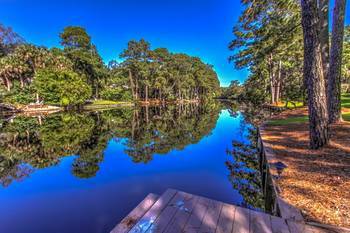 Great location in Sea Pines, walk to golf courses and beach club or bike to Harbourtown and South Beach Marina. VIP Golf Packages available. 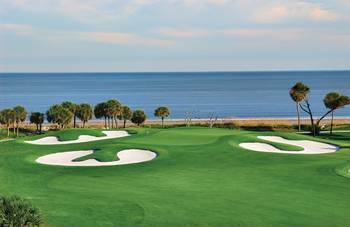 Stay oceanfront and play great golf courses. Completely updated and remodeled! King Bed in the bedroom and Queen pullout sofa in the living room! Great condo at Oceanfront Breakers. 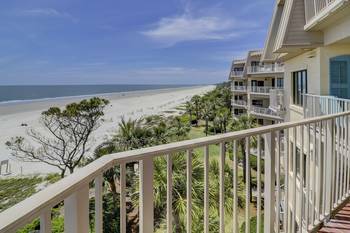 Perfect location near Coligny shops, over 60 shops and restaurants, bike all over the island, walk on the beach and look at the ocean from this condo at Breakers! Updated and Remodeled very close to Beach in Shipyard. Wonderful 2 BR townhome with full kitchen, granite counter tops, stainless steel appliances, hardwood floors and new furniture. This is the one to book for your wonderful family vacation. Condo sleeps six people, King bed in the master, 2 Twins in the Guest room and fold out couch in living room. Half bath downstairs for guests. 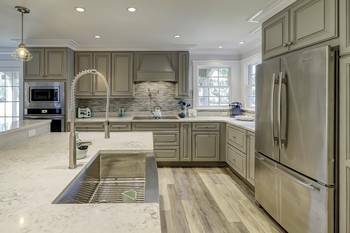 High end Kitchen with granite counter tops and stainless steel appliances, number 109 Beachwalk is near the beach and pool. Port Royal Golf View Condo walk to the Beach! 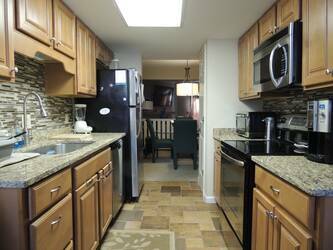 Updated, Granite Counters, Tile and Hardwood Floors! Near Westin, World Class Beaches, Port Royal Tennis and Port Royal Golf Courses, this newly renovated 2 BR 2 BA condo in Beckenham has the best of all the worlds. Golf Views and walk to the Beach. Community Pool and great views. Condo will be available totally renovated by May 1, 2012, pictures are old furnishings. Luxury Bathrooms! Totally remodeled Bathrooms in 3 BR 3.5 BA Beachwalk with almost 2000 sq ft. Great location near the Beach in Beachwalk. Walk to the pool, updated baths, nice kitchen, nice furniture, new LCD TVs, free wi-fi, enjoy bike paths and amenities in Shipyard. Spectacular Harbor Views! 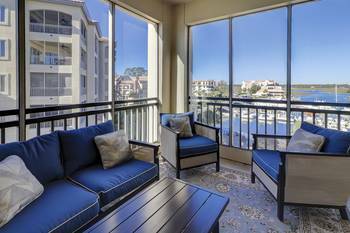 Updated and remodeled 2 bedrooms, 2-1/2 bath condo with spectacular harbor views in Shelter Cove. This condo is one of the newest on the Island, with breathtaking views from the screened in porch, where you can sit and enjoy the sunsets all year long and spectacular fireworks all summer. What a location to enjoy! A short walk to all that Shelter Cove has to offer, including dining, shopping, chartering a fishing trip, or renting a boat. During the season the Palmetto Dunes beach shuttle will pick you up, bring you to the Palmetto Dunes Beach club and bring you right back to your door step. Convenience is the perfect description for this location. Quality throughout the condo means you will enjoy the best the Island has to offer. The condo has updated and remodeled bathrooms, an updated kitchen, all new furniture, new carpets, and has been freshly painted. New Furniture! Updated! New Paint! 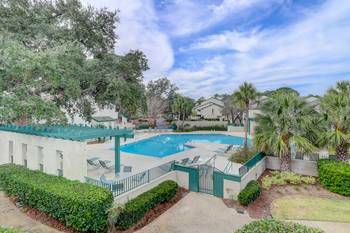 Wonderful Pool Views in 2 BR 3 BA Water Oak condo in Palmetto Dunes. Walk to the beach, golf or tennis in Palmetto Dunes. Granite counters in the kitchen with stainless steel appliances. Community Pool. Master on main floor, open kitchen, dining area, three full baths and guest room upstairs. Nice condo for the money! Spectacular one bedroom Beachwalk condo. This condo has been recently updated and beautifully decorated. Wonderful rental near the beach and right across from the pool. 55 in LCD TV in the living room, fold out couch, open kitchen, large deck, king size bed in master bedroom, and two full baths. Sleeps four people easily. A short walk to the beach, Sonesta Hotel and Van Der Meer Tennis! This 2 bedroom 2 bath condo has been completely remodeled and updated. 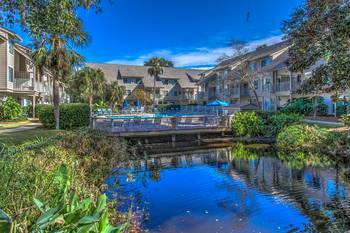 Located on the second floor this condo has courtyard, pond, pool, and ocean views. Wonderful location in Villamare, you can walk to the Marriott Resort for dinner and drinks, walk to golf courses and tennis courts. 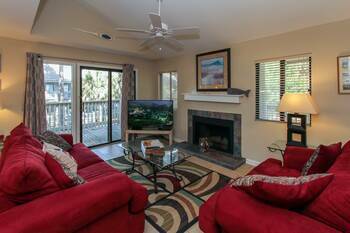 Great location in Palmetto Dunes and oceanfront property with oceanfront pool to relax and enjoy. Covered parking is great all year long. Elevators to each floor. Updated Luxury condo with water views, Beach minutes away, Shops and restaurants seconds away. What a fabulous location in Bluff Villas to enjoy relaxing at the beach, riding bikes or have dinner and drinks overlooking the marina in Sea Pines Resort at South Beach Marina. 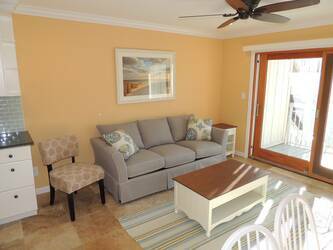 Updated kitchen and baths make this one room condo the perfect vacation spot. Sleeps four with Murphy bed and fold out couch. Walk right out to shops, restaurants and beach in Sea Pines. Remodeled and Upated 3 BR 3 BA with three decks, open living room, dining area, new vanities in the bathrooms, new furniture, new TVs, granite counter tops in the huge kitchen with Stainless steel appliances. 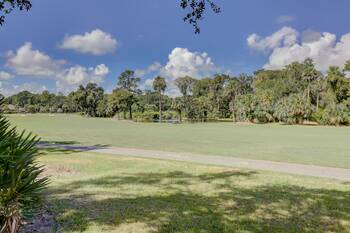 Walk to the beach in minutes, community pool, community tennis, elevator makes easy access. Bike to Coligny and only one minute to Sea Pines gate. Wonderful updated bathrooms and new furniture and TVs this 2 BR condo in Shipyard is near the pool and bike paths. Only a few minutes to the beach by car or bike, the oversize two bedroom condo has everything you need for vacation. Outdoors you have a nice patio area with grill to relax after a nice day on the golf course or beach. Great vacation home for the family. Community pool and free tennis too. Shipyard beach access is only minutes away. Miles and miles of bike paths with lots of trees for shade too. Free wifi too is included. Great rates too for a wonderful family vacation spot. Updated and Gorgeous! 103 Beachwalk, One of the closest condos in Beachwalk to the Atlantic Ocean! The condo is a beautifully updated and decorated 2 BR 2.5 BA Shipyard town home located a short walk away from the beach. Updated and nice location, great vacation rental. Walk to Van Der Meer tennis and Sonesta hotel for dinner and drinks. Nice lagoon view. Spacious, luxury 2 bedroom condo close to beautiful, tropical Forest Beach. Park your car at the condo and walk to everything! 5 minute walk to beach,we're talking door to sand! 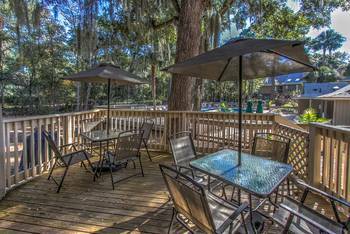 9 minute walk to vibrant Coligny Plaza with dozens of restaurants and shops. 9 minute walk to grocery store and other conveniences. Sleeps 10!!!! 2 bedroom 2 bath Oceanwalk condo. Right across the street from the public beach access! Totally updated and gorgeous condo with King bed in the master, two doubles in guest room and two fold out couches. Nice LCD TVs and beautiful kitchen fully stocked with all utensils. Washer and dryer in the condo. Indoor and outdoor pools with free tennis on site. Walk to beach, Great location!! Unbelievable Ocean Views from this one BR condo in Ocean Dunes, Updated kitchen with Granite counters, tile floors, great ocean views, stainless steel appliances with tile bath room and new vanity. Travertine floors and walk in glass shower in the bath. Updated! 3 BR 3 BA end condo at the Greens. Very private end location, great outdoor patio with wrap around golf views. Kitchen is updated and fully stocked. Master suite is on the main floor, with great golf views from almost every room in the condo. Right near the pool and on the golf course. Perfect location. Walk to the beach from the Greens in Shipyard. Updated Kitchen and Baths on the Sea Pines Golf Condo near Harbourtown. 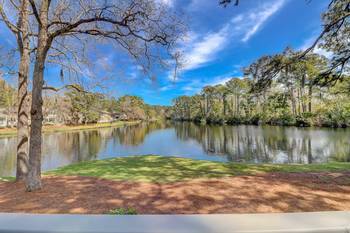 Wonderful golf views and walk to Harbourtown. Wonderful 3 BR 3 BA condo with granite counter tops, updated new cabinets, new showers and very nicely appointed. New Bedroom furniture coming for upstairs bedroom and guest room will have queen and twin. One king is downstairs, another king upstairs, queen in guest room with twin and fold out couch in living room. Bike paths right near the condo with tennis courts right behind you. 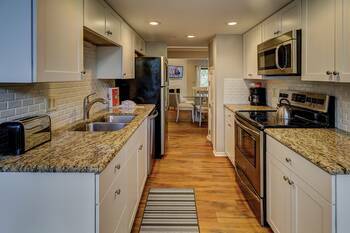 Completely Remodeled 2 BR 2.5 BA town home in Forest Beach. New kitchen, new bathrooms, new flooring, new furniture, new TVs, new beds, new almost everything. Very nice size living room and kitchen with two patios to relax out doors. 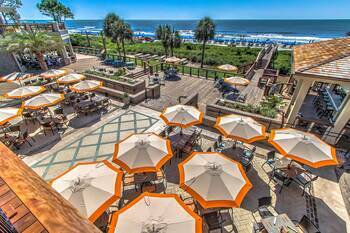 Walk to the beach and Coligny restaurants and shops.